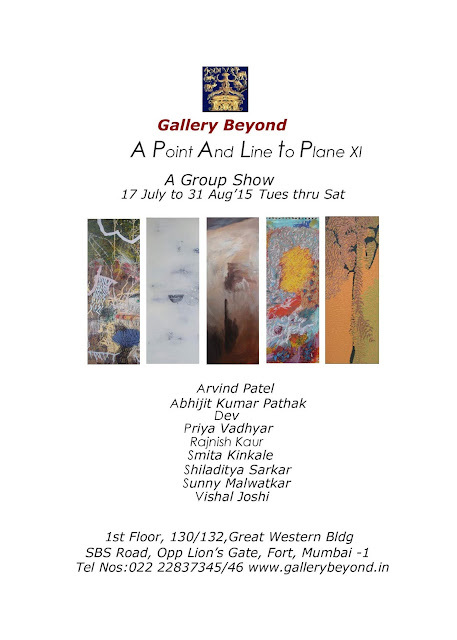 Gallery Beyond (Mumbai) is hosting the 11th edition of its annual abstract exhibition starting tomorrow July 17th. 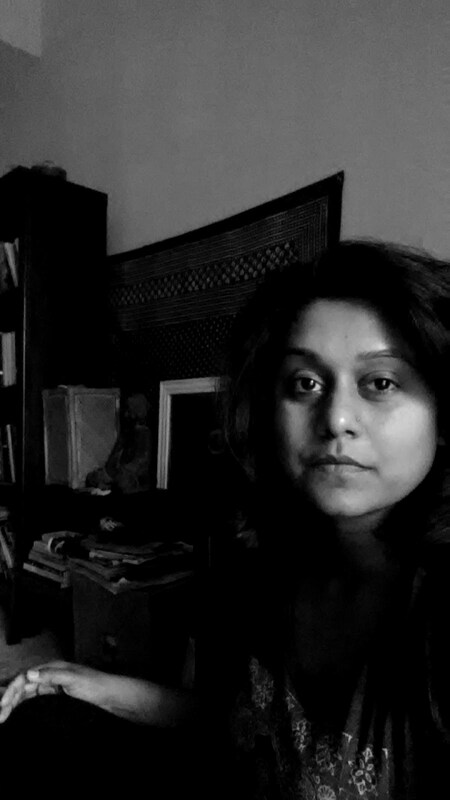 This year the show is called 'A Point and Line to Plane XI' and will showcase the work of nine artists - Arvind Patel, Abhijit Kumar Pathak, Dev, Rajnish Kaur, Smita Kinkale, Shiladitya Sarkar, Sunny Malwatkar, Vishal Joshi and myself. I'm excited and honoured to be showing my work with such amazing artists. The theme of the show in the words of Gallery Beyond - "The common thread that weaves these artists together is Abstract Expressionism. 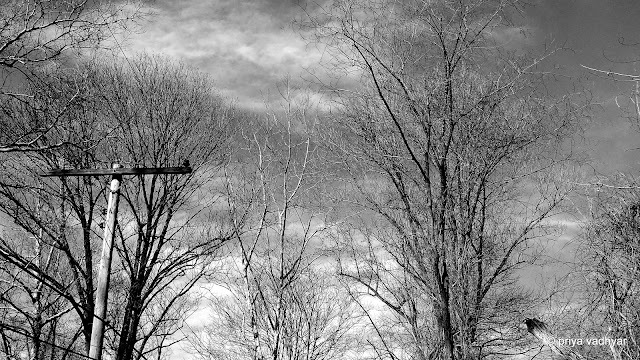 Abstraction does not deal with objects or with effects or with images. It is a purely expressive art, one that excludes all the styles of the past and is a plastic art with only one purpose; to inspire human nature towards beauty." Below is the exhibition poster. The opening of the show is tomorrow at 7pm; the show will continue until the end of August. Gallery Beyond's beautiful space and the art in that space beckon!